Love the idea of living tiny? We hear you. But tiny house thefts are something law enforcement is now dealing with. Here’s what you should know. Among the attractions of tiny houses is the fact they can be built on wheels enabling the homeowner to easily relocate or adopt a somewhat nomadic lifestyle. But that same design is making it easy for thieves to steal entire structures. 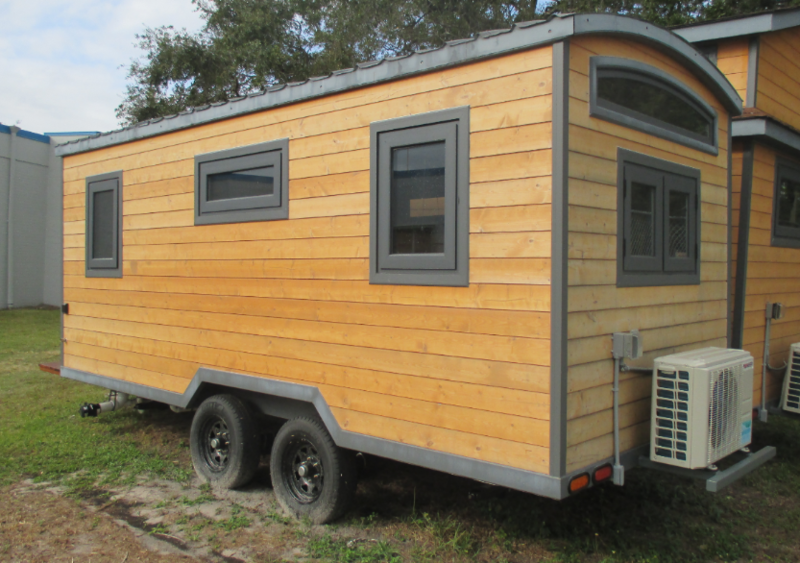 Most recently the Manatee County Crimestoppers offered a $3,000 reward for information leading to the recovery of, and the arrest of those responsible, for stealing a tiny house on wheels in Bradenton, Florida in December. According to Randy Warren, Manatee County Sheriff’s Office public information office, law enforcement in Bradenton are treating the missing tiny house as a motor vehicle theft and actively looking for clues. But it’s been a tough case so far. Rains apparently washed away any footprints or tire tracks at the scene, according to the incident report sent by Warren, and sheriff’s deputies are reviewing security tape from a nearby business. There is no official national database tracing stolen tiny homes, but thefts have been reported around the country over the last few years. In December police recovered a tiny house that had been stolen from its lot 30 miles away in St. Louis, Missouri. Police in Klamath Falls, Oregon, are still looking for a missing tiny home removed from its foundation in 2015. That same year, just before Christmas, a tiny home was stolen in San Antonio. And while that was recovered, it ended up spending so much time under police lockup as evidence, the original owners opted to sell it. How do you prevent tiny house theft? It’s become enough of an issue that online sites devoted to tiny living now contain sections on securing tiny houses — inside and out. Online sites like tinyhomebuilders.com recommend removing the wheels from a tiny home and storing the wheels in a secure, locked facility not near the residence. Thieves, according to the site, will search near a wheeless tiny house looking for them. If you don’t want the hassle of taking wheels on and off a tiny home, you can run heavy chain through the wheels and secure the ends with a solid padlock. Tinyhousebuilders.com also recommends using “boot” wheel lock devices or hitch locks that prevent the house from attaching to a tow vehicle. The site realtor.com suggests using the wheel locks on every wheel under the tiny house in addition to securing the tongue — the part of the trailer that attaches to the hitch of a vehicle — with hidden shackle padlocks that can’t be cut with bolt cutters. What about tiny houses on foundations? Determined thieves have also targeted tiny houses that were built on slabs or foundations with no wheels. In these cases, the house thieves employed simple home-moving techniques and raised the house using jacks, loaded it on a flatbed truck and drove away looking, doing it quickly and efficiently enough to not garner attention. On the website Tinyhousebuilders.com, a list of recommendations employs technology to discourage tiny home theft or to locate stolen tiny homes. For instance, security cameras hidden around the home’s exterior will capture and record any and all activity going on while you are away from your tiny house. Installing a Global Positioning Satellite device on your house will allow you to track the dwelling in a worst case scenario of someone making off with it. So, if you see a tiny house on a trailer or being towed pass you on the road, take a moment to log the details. A very worried homeowner may thank you.